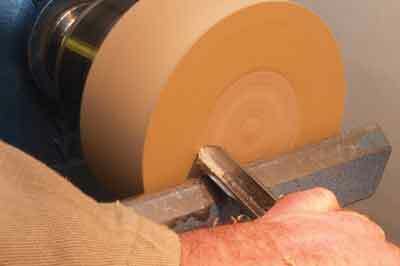 A 13mm bowl gouge, or deep fluted gouge, is so versatile it could almost be renamed the 'versagouge.' 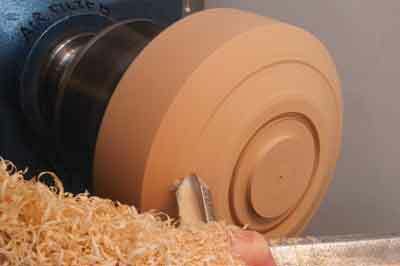 Used instead of a spindle roughing gouge its first task is to true up the blank. 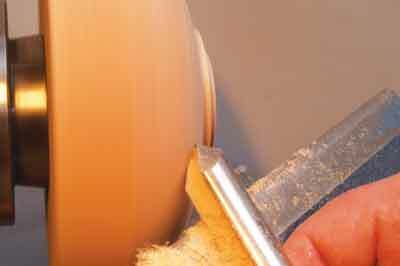 Keep the gouge almost at right angles to the blank and take light cuts with the tip, running the fingers along the toolrest to keep the cut straight. 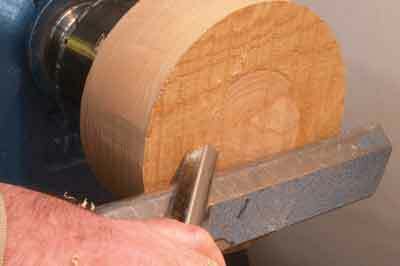 The flute of the tool points to about two o'clock and the bevel is in contact with the wood. The flute always faces the direction in which the tool is moved. In this article, I will show you how you can get the most from this versatile tool.